I am Jerky aficionado! I like it in all forms, and to say I was excited to have the opportunity to review some jerky from the Country Archer Jerky Company is an understatement. 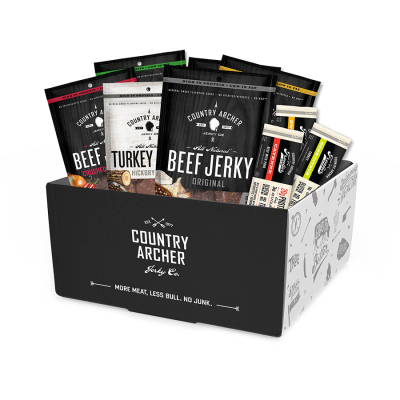 Country Archer Jerky Company is a small business that focuses on providing high quality artisanal jerky’s made in California. Read on for my initial impressions on their products. This entry was posted in Reviews and tagged backpacking food, beef jerky, Country Archer Jerky Company, delicious, frontier bar, gluten free, paleo, turkey jerky. Bookmark the permalink.